Horses & cats; let nature take its course? Living in Texas has given us the opportunity to visit some big ranches. One thing that stood out to me was that with so many mares foaling, the mares are pretty much left to foal on their own. Ranchers ride out in the morning and do a head count making note of the new foals. This operation is almost the opposite of the foaling experiences I have had. I was present for the birth of most of the foals we raised and the one we missed was still soaking wet when we found him. 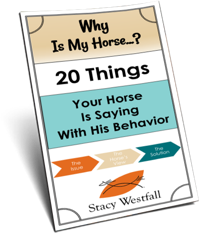 Are we over managing the mares when we watch so closely? Is it better to ‘let nature take its course’? I was reminded of this again today because of a litter of kittens. The barn cat has been hanging out on our porch and has looked like it has swallowed a small mellon…so we were pretty sure kittens were on the way. The cat is very, very sweet but maybe not the smartest cat around. Walking down our outside stairs is dangerous for both cat and human as she insists on attempting to rub your legs on each step. There are barn dogs around too and I have worried about her selecting a safe spot to have her kittens. Will she be smart enough not to have them on my doorstep? Thankfully she made great use of a corner feeder in an empty horse stall. It is close by and yet well protected from the dogs. Again, I find myself wanting to take her food, water, secure the doors and take other precautions. I can already feel myself wanting to protect the kittens from potential harm. What is your take on the meaning of ‘let nature take its course’? I have seen too many people try to treat their animals like people. Animals that live in natural areas, like horses on pasture, are healthier than those that live in small pens with blankets and grain. Fewer vet bills and no colic situations. If you watch horses in pasture, the ones without blankets on are far more lively. We have a mustang that would pull blankets off horses that were visiting our pasture. He knew what was best for them. When we start taking over, they rely on us to continue. Just like a wild animal that has been living in captivity. It is very hard for them to survive back in the wild. 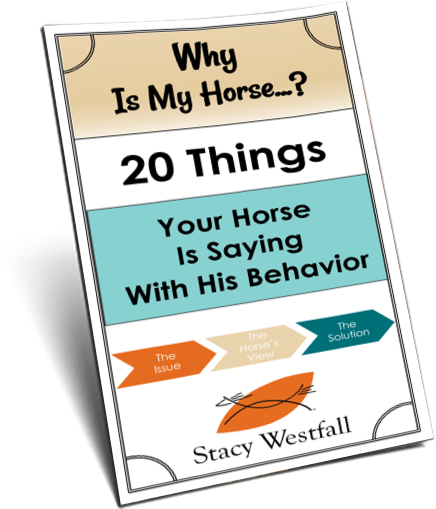 Have you heard the saying “We are killing our horses with Kindness?” I believe that happens. I find it very hard to visit barns where horses live in little pens. It would be like us living our lives in our bedroom with little escapes when someone decided to let us out to see the sunshine. I will use our chicken experiences as the basis for my opinion. We live in the city and decided to get a couple chickens. Well… a couple turned into a dozen. In the beginning because we had no mama hen we provided a heat lamp for our babies, once they were old enough to be outside we took away the heat lamp. Even in dead of winter here, we do not provide heat for them… the reason being, if the power goes out, then what? They’re used to having extra heat provided and then it’s gone. Chickens temps are higher than humans, and they’re wrapped in a down comforter to boot. When you look at the heat that one chicken puts out, in an insulated coop that is 4′ by 4′ square, those girls are pumping out a good deal of heat! My other fear of having a heat lamp is fire. A woman we know had 2 coops burn down in the night killing all her chickens both times. I think that even though animals are domesticated, their instincts still kick in and they are somewhat self sufficient. Especially if they were raised that way. The range mares, if left to their own devices, their fillies will learn the way and will be fine dropping their babies just as their mother dropped them. 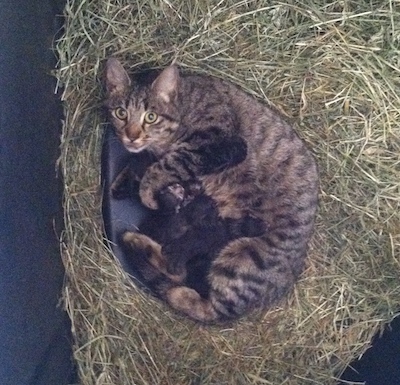 I think that mama cat of Stacy’s knew that she needed to find a safe out of the way place that was secure and hidden. That was instinct. I think she should be left on her own and as one woman above said, interact with the babies to socialize them as the mother allows and then just let her be. They’re pretty good at their jobs when people let them be. Raising domestic animals means taking care of them, so that they are more dependent on human care. We have taken them out of the wild & put them into our circumstances/environments for our convenience so of course we must provide the care of food, shelter, & addressing health issues because we have made an emotional as well as a financial investment in them & we desire to prolong their life to our benefit as well as theirs. My humble opinion is that our animals are domesticated and thuss no longer used to the real nature. As we have choosen to “have and to hold” our home pets (dogs, cats and yes, horses too) we are the ones to look after their wellbeing. We can let have nature her course but still watch over incase nature needs a little hand or two. I have mares giving birth without any help but I needed to help out several others or I would have lost one or both…..Nature is very hard and don’t say thats just right cause only the fit ones need to survive….when a foal wasn’t mend to be thats perfectly true, cause when its not healthy it will show but loosing a foal cause the sac was very thick and he just died because of that??? Is not our intent when we breed horses. Do we? I think in the same way of our cats and dogs. It’s pretty straight forward to me: the smaller your operation, the more you stand to lose. Especially if you are into breeding your own show/work stock. The more hands on the sooner, the better. I have a hard time letting nature take its course. Overall you could say I have a hard time of letting go. Death is not an easy thing for me to accept, especially when there’s a new bundle of joy on the way. I feel like a mother to her newborn whenever I lay eyes on a new addition. I get a very strong urge to protect it. Even when it came to my younger cousins and siblings. I was always the protector. Though most people don’t feel inclined to protect everything. However for some reason I feel inclined to protect everyone that I can. I say call your mom and bring rollie pollie a friend or several friends….. or better yet i will holla for you…….MOMMMM….. Mrs. Sherri?…..Stacy needs a favor! ! HELP!!!!!!!! hee hee….. poor MOM…. she might need to make a TEXAS visit soon then!!! !